Siddhast deals in the entire range of Digital signature and certificate and licensed Information security software products. Trademarks help the consumers to identify and distinguish between two brands. Any symbol, word, phrase, logo, image, design or any characteristic quality of the good can be registered as a trademark if it is unique and distinctive. Trademarks come under the Intellectual Property Rights and are especially helpful when the consumers feel the need to distinguish between two companies (mostly manufacturers) in case of duality or ambiguity. We provide access to an exhaustive database of Trademarks, wherein, our clients can search through the entire list of trademarks which are registered with the Indian Patent Office. Since, identification of trademarks, by the consumers, takes years of consistent service; it is important for the company applying for trademark registration to search through the database, in order to avoid confusion in the minds of the consumers. It also helps in avoiding the eruption of legal battles. Trademark Search: With this tool, we offer our clients with online access to a comprehensive database, which comprises of more than Twenty lakh trademarks that are registered according to the regions. 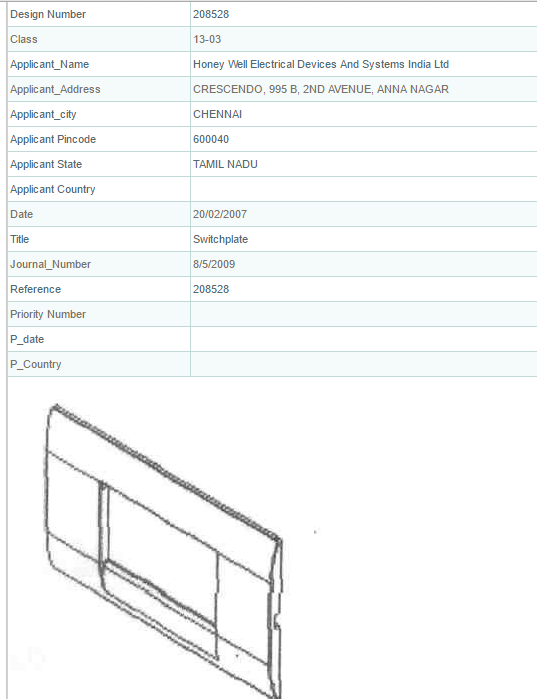 This database offers real time searching, since it is updated every day as and when new trademarks get registered. We also offer Offline Trademark Search, wherein, our clients are provided with Trademark Investigation Search, a full availability search. Legal Status: With this, we keep our clients updated with the legal status of their trademarks. Alerts are directly sent to the clients in case of legal issues. 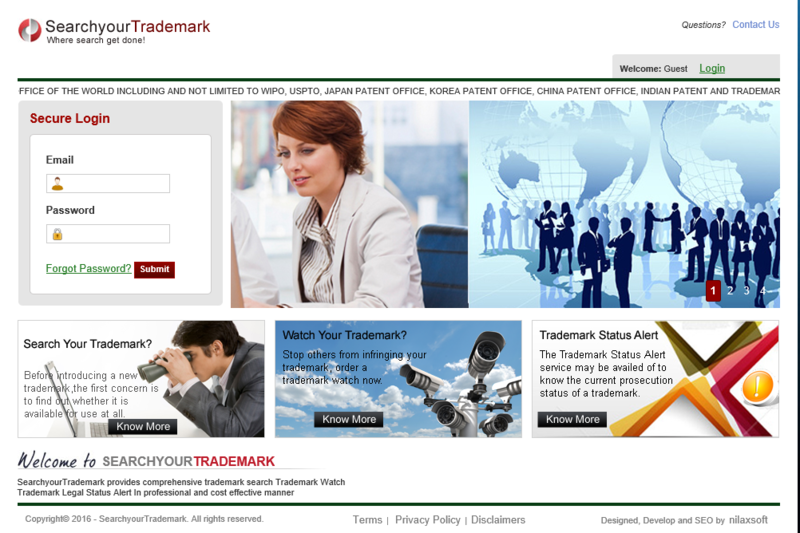 Trademark Watch: Under this, our clients can easily manage the archived trademarks. Recent reports and trademarks are kept on watch, thereby, providing the client with complete information on trademarks they wish to keep a watchful eye on. 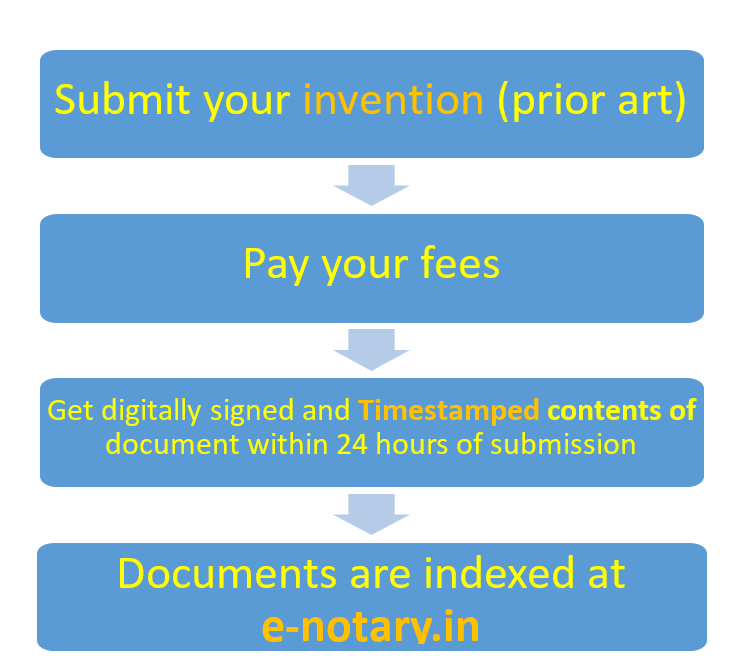 A E-Notary publication, or defensive disclosure, is an intellectual property strategy used to prevent another party from obtaining a patent on a product, apparatus or method for instance. The strategy consists in disclosing an enabling description and/or drawing of the product, apparatus or method so that it enters the public domain and becomes prior art.Therefore, the defensive publication of perhaps otherwise patent-able information may work to defeat the novelty of a subsequent patent application. One reason why companies decide to use defensive publication over patents is cost. In the United States, for example, to obtain a published patent application, one must incur at least filing fee, examination fee, search fees, and early publication fees, and meet the filing requirements for a proper patent application. “The defensive publication route is especially useful for innovations that do not warrant the high costs incurred in patent applications but to which scientists do want to retain access.